"Do you know what it means to miss New Orleans? The longer I stay away..."
Tucked away on the 800 block of Royal Street in New Orleans' French Quarter, Hové Parfumeur has the faded flower charm of an aged Southern Belle. The shop, which resembles a Victorian drawing room with small glass cabinets of curiosity, sells women's and men's perfumes and fragrant bath products, with scents and names reminiscent of New Orleans. Started in 1931 by Mrs. Alvin Hovey-King, a woman who learned perfumery from her French Creole mother, Hové is in its third location since its inception (all shops have been within blocks of each other in the French Quarter) and has been run for generations by family members. I've heard that Hové was one of the first shops in the Quarter that reopened after Hurricane Katrina devastated New Orleans. Of course people really needed food, water, and shelter, but it makes me happy to think that, in the spirit of New Orleans' decadent inclinations, perfume was one of the first things you could get again in the Quarter (along with a stiff shot of Bourbon, no doubt). Although Vetiver is categorized as a men's cologne, it's my favorite Hové scent. Hové's perfumes for women boast some of the best names I've ever encountered, each one a Film Noir or romance novel waiting to happen — Mantrap, A Kiss in the Dark, and Rue Royale come to mind — but they're often a little too sultry-sweet for my tastes. Tea Olive is probably their most famous fragrance, and, like Hové's other women's scents, it has a reassuring vintage feel to it, comforting and even simple. Direct as Hové's Vetivert may be, simple it is not. It has what the more composed, dressed-up vetivert perfumes I love (Guerlain and Prada's newest, for example) do not: it smells wild. Lemony, hay-like and grassy, with the bright herbiness of verbena, a whiff of licorice that could come from tarragon or maybe even sassafras, Vetiver evolves into something dusty, incensey, and peppery. 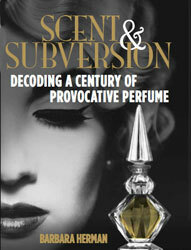 It is as interesting as a niche perfume, its frayed edges an unselfconscious artifact of its source note. It would bloom anew on your skin in New Orleans heat, the Vetiver's dry roots reconsituted by the wearer's endless supply of perspiration. In the copy written on the back of Hové's Vetiver soap box, we're told that the word Vetivert comes from the East Indian "Vettiveru" which means "root that is dug up." We're also informed that no fashionable Creole home's drawers or closets was ever without this lovely grass/root, which was associated with Creole aristocracy. I am writing this review of Hové's Vetivert not from New Orleans — where I spent six wonderful and self-indulgent months writing about perfume, biking all over the city, eating shrimp Po Boys and fried chicken, and drinking up a storm with my new (and life-long) pals — but rather from Orange County in California, a temporary pit stop before I get back (hopefully) to the place that really feels like home. There are so many ways to carry New Orleans with you wherever you go, and I don't scoff at tourists with their Café du Monde beignet mixes or their Mardi Gras beads in July. No matter what wonderful cities they're from, there's just no place like New Orleans; no wonder they want to take a little bit of it (even if it's corny) back with them. You can get a dram of Vetivert for the ridiculously cheap price of $19, and the soap is $7 a bar. (A dram is the unit of apothecary weight equal to 1/8 of a fluid ounce.) If you're really interested, you can even get three bundles of Louisiana-grown vetiver for $10: "Its thin feeder roots are clipped off every two years, washed and dried in the sun and used to scent and deter moths in armoires, closets and bed linens." Do you know what it means to miss New Orleans? Well, one way to miss it and remember it all at once is to put on the wild and beautiful Vetiver from Hové. More than I miss New Orleans..."
For anyone reading this as of June, 2011 — I'M BAAAAAAACK! Such a lovely, lovely review. Come back soon! While displaced in Massachusetts, early September following Katrina , I longed for something that I could reach for, that little piece of home to hold onto. I thought of Hove'. I imagined it shuttered and closed and wondered if it would become a casualty of the flood. On a lark I dialed the number, "Hove'" the perfumer answered. Shocked, I stumbled, 'Can I order some Vetivert? Two bottles." The answer was yes and " It might take some time to get to you since its a little messy here & we have to drive well out of the city to post it to you." They had phone service and never even lost electricity. It was miraculous. And I had my bit of home to keep me buoyant until I could come back. Monique, That's such a wonderful story. Thanks for sharing it. I can imagine your shock when you heard them answer the phone, and I love that you ordered Vetiver! I can't wait to see my New Orleans friends again! Wonderful post, got me searching for Galangal leaves! There is so much I miss about New Orleans, certainly. Hey Paramour, I meant Kaffir leaves. Whoops! Go search that. :) And thanks for stopping by! As a expatriate New Orleanian (ok, I'm only in Lafayette now), this article made my heart sing. Nothing makes me think of NOLA more than Hové. I own five (mens') colognes and four of them are Hové. Vetivert is king, but mainly for winter for me. Vervaine sings of summer. Habanera is my favorite everyday scent (wonderful tobacco flower). And Grandee is for those elegant occasions. Every time someone visiting asks me where they should go while in the city, Hové is always on the list. Oh, you're making me wish even more that I could just pop over to Hové and try those out, Drew! (I do remember liking Habanera.) Everyone I've talked to who has lived in New Orleans for a long time has a Hové story, or owns a perfume/cologne. Long before Bond decided to connect perfumes with cities, Hové was doing its thing. Thanks for the comment! Oh, cute Jonno; the things you'll do for perfume! Perhaps this is payback for the time you eluded the meter maids while we amassed hundreds of dollars worth of Tom Ford samples at Saks? Big kiss! Miss you a lot. Has Hove' moved into their new location yet? I know they announced a change to a larger F.Q. store for this summer. That both pleases me and causes worry. I have very fond memories of their quaint and lovely previous location. That was the last place I shopped when I had to relocate from NOLA. Growth for the company probably means I can keep getting my "fix" for Vetiver no matter where I roam, but the fact that they will now be carrying clothing/etc. concerns me. I envy you being in NOLA! Wish I still was...."do you know what it means to miss New Orleans"... yes, indeed! Thank you for the update! I am very curious if the quality of their wonderful products have changed any recently. When I contacted Hove' early in the year, they did say that the Summer sales mailer should be out on time since it is very popular with customers, but I do wonder. I was waiting for a sale to stock up. Possibly the new generation that probably owns the store is making the changes based more on making alot of money and not just survival, although many of my old favorite boutique-style stores are becoming victims of today's bad economy. Friends still in NOLA complain that rents are now just stupid high. Apparently Hove's satellite store in Florida is doing really well with the clothes/etc. I just hope they don't become yet another F.Q. T-shirt shop, no matter how "high end", but perhaps Katrina scarred me too much to accept change no matter how necessary. In correction to my post, since this is a fragrance focused site I should have opined instead on smell. Actually sometimes it does smell like New Orleans up here. I have a huge magnolia tree, and a neighbor who is originally from East Louisiana planted some sweet olive and night blooming jasmine. Some sultry evenings the fragrance of the night is very bittersweet and memory filled, indeed. A few weeks after the hurricane, when the friend that drove me back to my destroyed home in New Orleans asked me what the unusual smell was in the neighborhood/city, I remember responding "mold, mortality, and sweet olive." I'm glad that fragrance as a memory trigger no longer exists in more of the city these days.